I was very naughty this weekend. I spent four days worth of money on liquor and bacon. But I did it all for you so you could have this bacon mudslide milkshake. I went to Costco and ended up coming home with a liter of Kahlua, a liter of Bailey’s, 1.75 liters of vodka, and four pounds of bacon. I’m telling myself that I just have to make it last. It’s an investment in my future. My very delicious and slightly tipsy future. So maybe if you buy all the booze all at once, it’s not that cheap, but if you consider how much it would cost to get a cocktail milkshake in a bar, well you’re really making your money stretch. My husband asked a friend to bring him some bacon vodka back from the mainland. He was going through a serious bacon phase and thought it would be a great idea to have a bottle in the house. On it’s own, this particular bacon vodka was fairly awful, but mix it with something creamy and it’s pretty dang tasty. 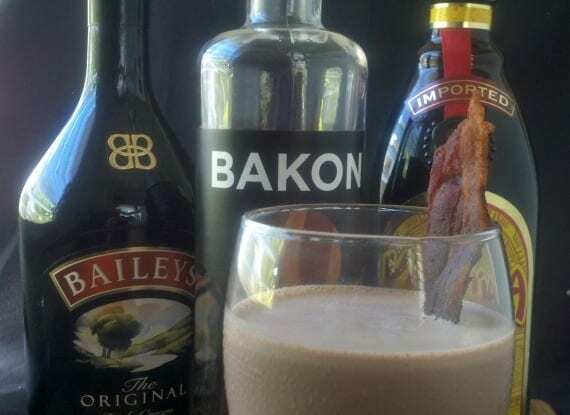 Of course, you could just use regular vodka, and have regular mudslide milkshakes and it will still be awesome, but if you’ve somehow found yourself with a bottle of bacon vodka on your bar and you don’t know what to do with it, give this a try. 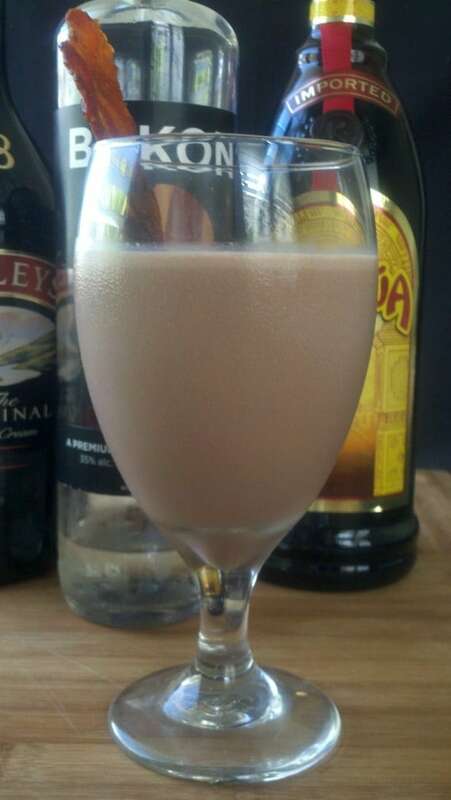 It’s chocolaty, creamy, boozy, and potent. And so extremely fantastic when it seems like your living room might actually be the hottest place on Earth. And guess what else! Tomorrow is chocolate milkshake day! You had no idea. I know. That’s what you keep me around for. 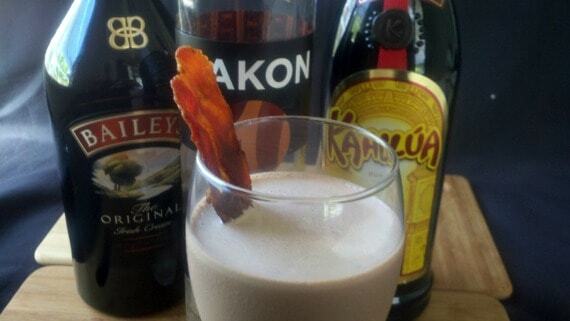 Make sure you get yourself a boozy bacon mudslide milkshake to celebrate. I know things. You should trust me. Put all the ingredients in your blender or food processor and blend until smooth. A crisp bacon stir stick never hurt anybody. This will make one large milkshake or two small ones, just in case overindulging isn't your thing.